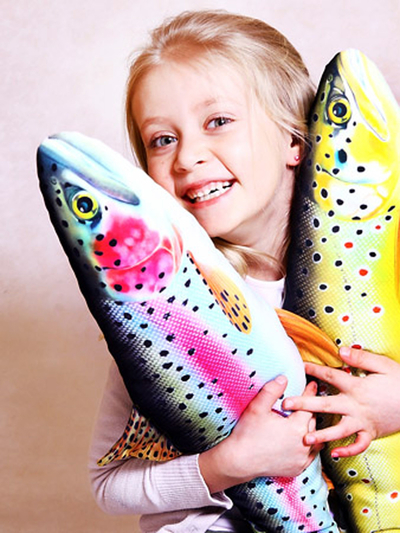 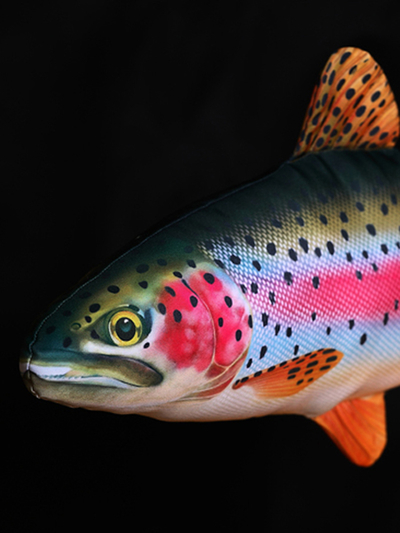 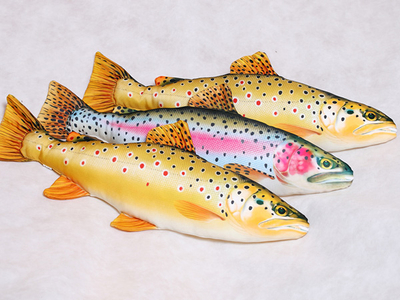 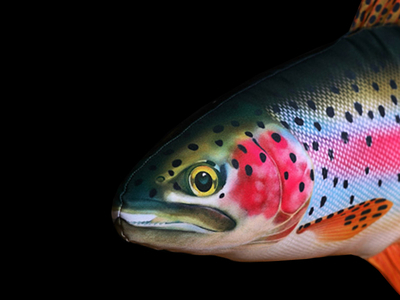 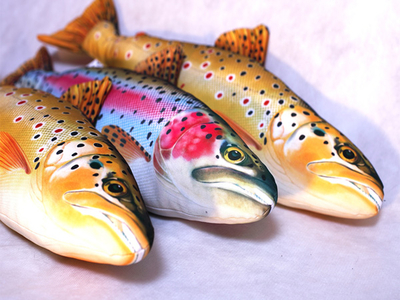 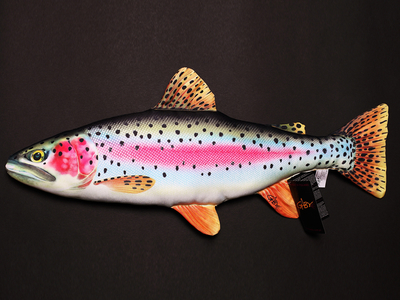 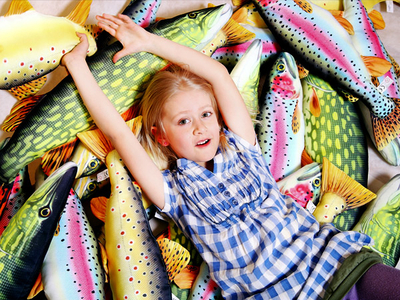 A very realistic pillow in the shape of a trout. 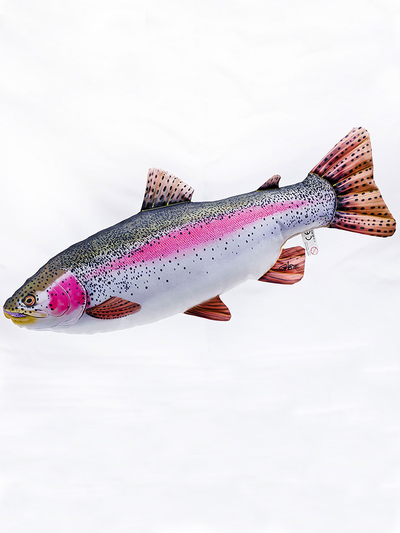 It originally comes from North America. 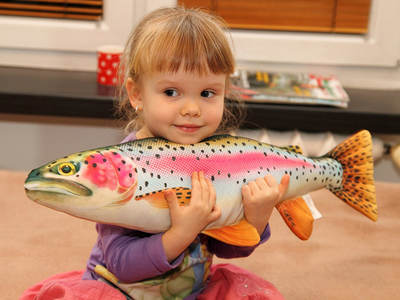 Rainbow trout have been introduced fi almost all countries in the world. 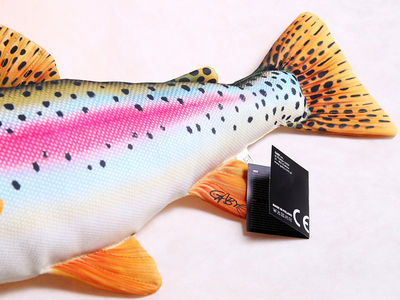 It is very adaptable.